Day two in Cheonan and for lunch we decided to head down to Cheonan Station to sample the delights of Mount Fishtail, a Nepalese/Indian restaurant recommended by the people at the Cheonan Where To Eat site. The four of us settled for two couple lunch set menus at 22,000 won per two people. 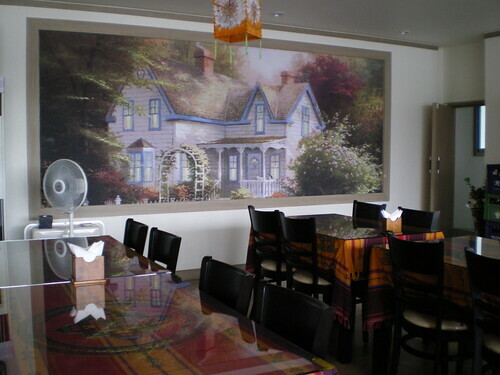 Plus two portions of samosas (3,000 won for two) and a plate of mutton tikka (9,000 won). First to come out were the lassis, you can choose strawberry, mango, banana or sweet. I went for a sweet lassi (which was fresh, yoghurty and not too sweet), while two of my companions chose the mango lassi option and the third managed to slyly substitute a Masala tea instead. The tea was delicious and tasted like the real deal. 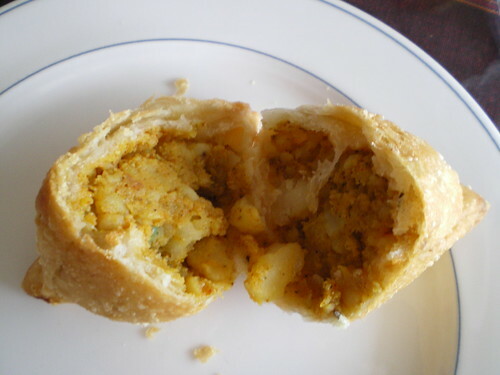 Next to come were the samosas, stuffed with potatoes and peas, they were delicious and left us with a long lasting heat in our mouths. 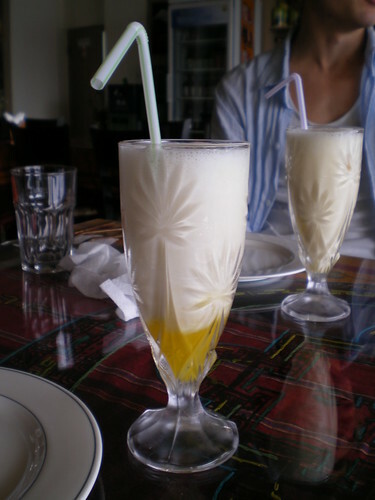 Not for those who fear spice, but the mighty lassi helps to cool down any tender tastebuds. 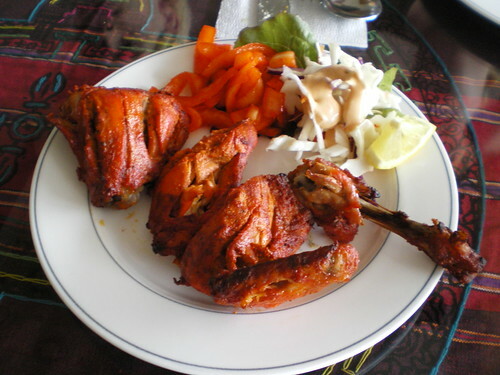 The tandoori chicken followed and did not disappoint. Beautiful colouring, tender chicken and a great blend of spices. Moist and moreish. Next up - the mutton tikka. While it was perfectly seasoned, this was the first dish that caused complaint, albeit a minor one. 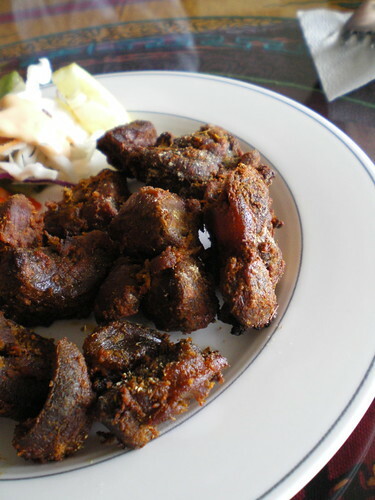 The mutton was just a little bit too gristly and lacked the tenderness of the chicken that came before. not a disaster, but not great. 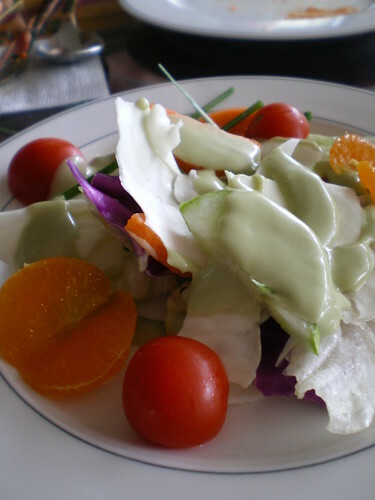 The salad that followed was a slightly odd combination of lettuce, cabbage, cherry tomatoes, mandarin slices and a green tea dressing. By this time we were already feeling quite full, but the best was yet to come. 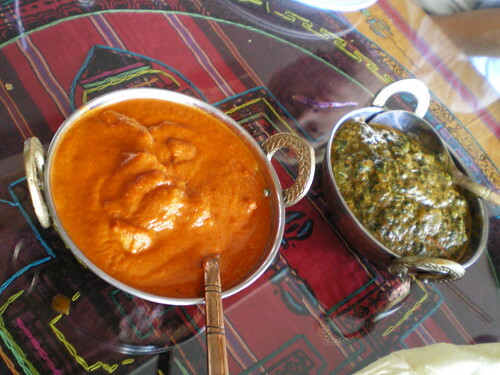 With the lunch set you can choose any curry from the menu, we went for the "Chicken Maknni" and "Ghost Palak". Both were excellent and filled with numerous chunks of chicken and lamb respectively. 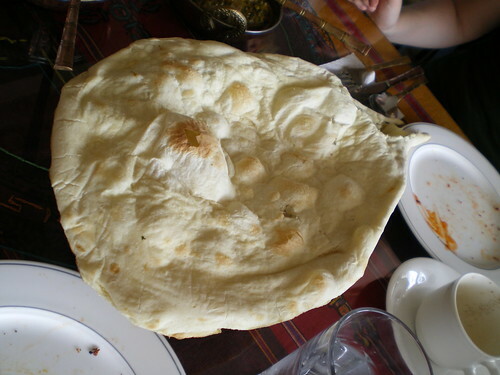 Huge fluffy nan breads accompanied the curries along with plates of rice. More than enough for the four of us and a fantastic end to our Indian feast. 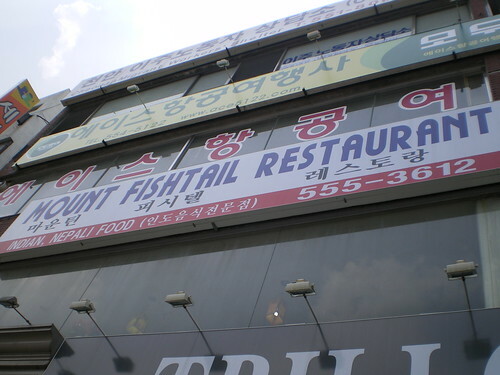 Mount Fishtail is well worth a visit if you are in the area and works out to be much better value than a lot of Indian restaurants around Korea. To get there come out of Cheonan station, head towards the taxi rank and take the underpass across the road. Mount Fishtail is just on the right hand side on the second floor. You can call them on 041 555 3612. Once again thanks to Jackie and Susan for their Cheonan info!